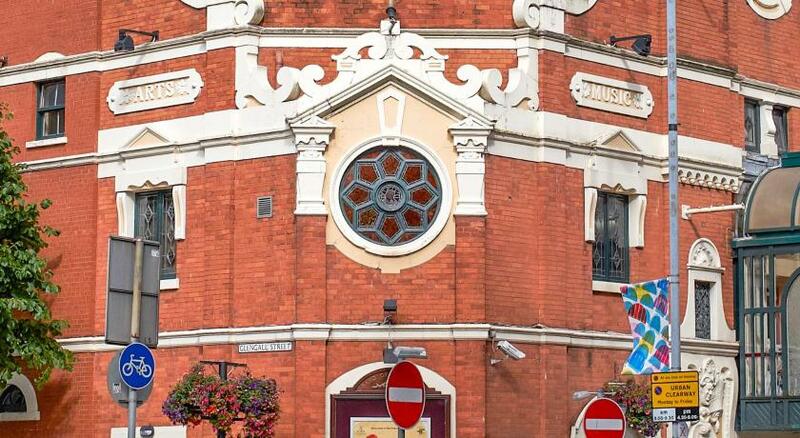 Lock in a great price for Europa Hotel - rated 8.8 by recent guests. Bed was luxurious in my opinion. Lovely atmosphere throughout the hotel and great central location Definitely stay here again. 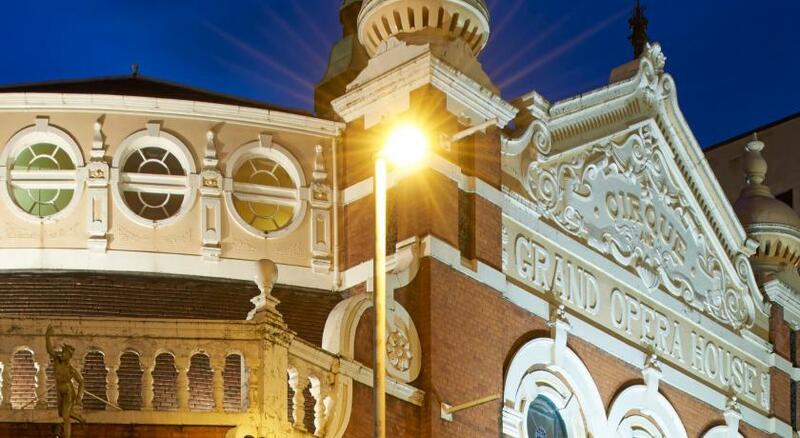 It is centrally located with good food and drink choices. Loved the piano bar. Lovely food and cocktails. If I had a problem it would be the shower in the bedroom. Controls too far away in room 923. I’m 66 and a handrail of sorts would have made me feel safer getting in and out the shower. The location is fantastic. 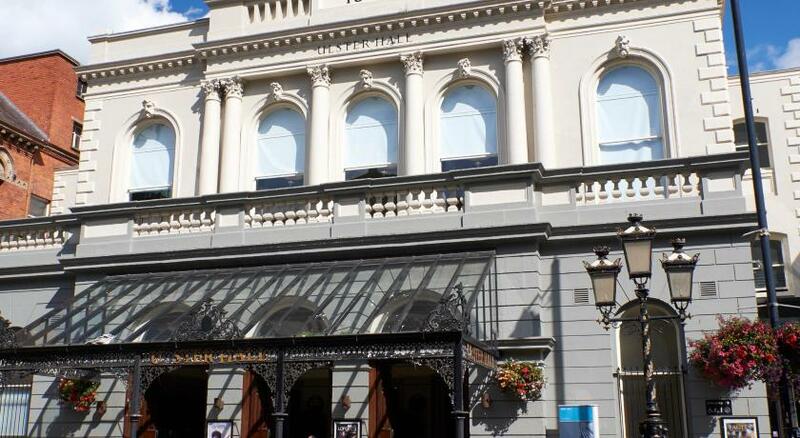 Liked the history associated with the hotel - read the plaques on the stairs to the piano bar. 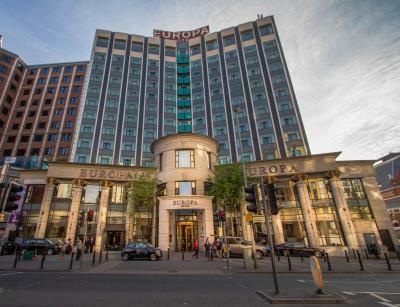 In the heart of Belfast’s city centre, the 4-star Europa Hotel is next to Great Victoria Street Railway Station. Guests can enjoy luxurious rooms and dining in the contemporary bistro. Complimentary Wi-Fi is available in all public areas. Spacious and elegant, The Europa Hotel’s rooms offer modern bathrooms decorated with glass and chrome. Guests can enjoy luxury bedding with designer fabrics from Ralph Lauren, and a flat-screen TV. 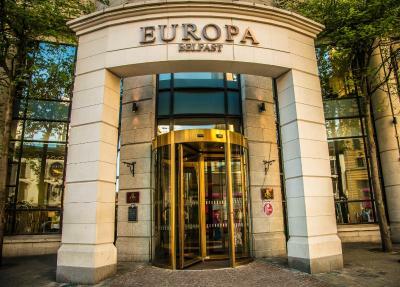 The Europa Hotel is situated on Belfast's Golden Mile, beside the Grand Opera House and facing the Crown Bar, the National Trust's only public house. 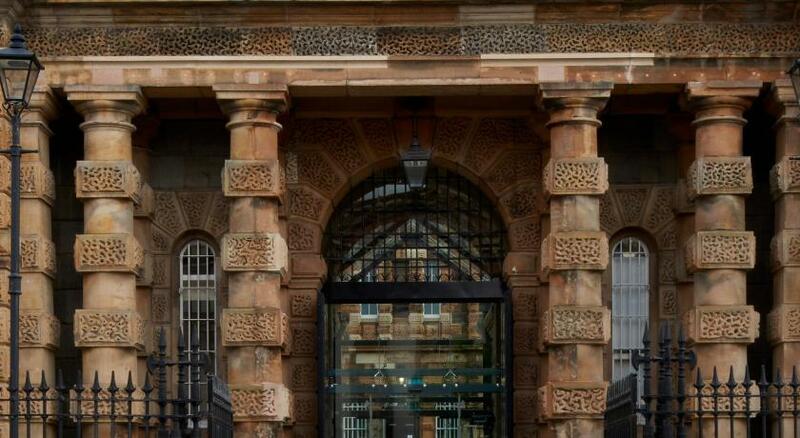 Castle Court and Victoria Square shopping centres are a 15-minute walk, and Belfast Zoo is 15 minutes’ drive away. With magnificent views over Great Victoria Street below, the Piano Bar offers an impressive range of cocktails. 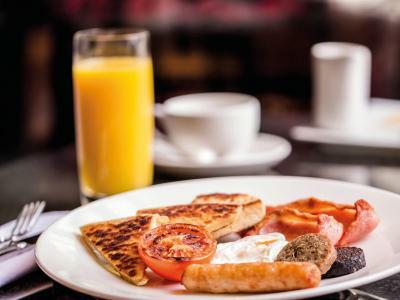 This is our guests' favourite part of Belfast, according to independent reviews. 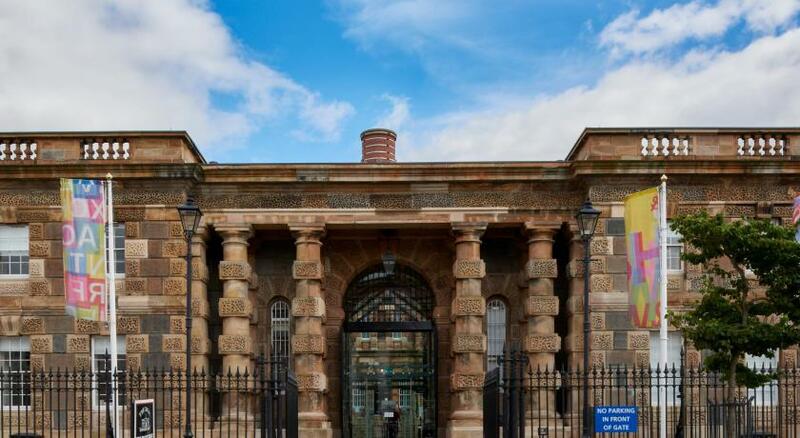 This property also has one of the best-rated locations in Belfast! Guests are happier about it compared to other properties in the area. Europa Hotel has been welcoming Booking.com guests since 3 Feb 2010. 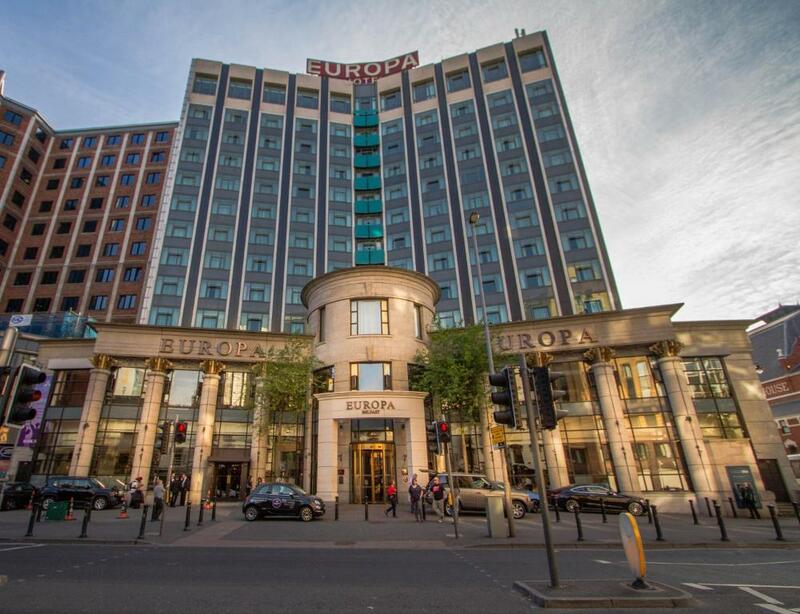 When would you like to stay at Europa Hotel? 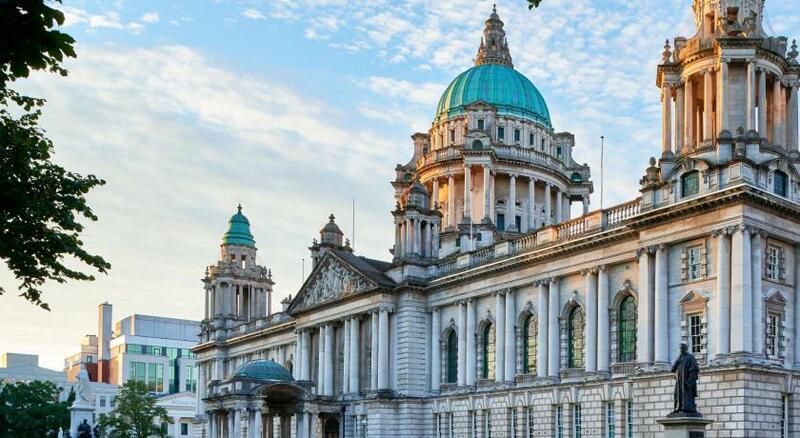 Superior Double or Twin Room offers a king-size bed or 2 single beds and stunning views towards the north east of the city including the city centre, City Hall, Waterfront Hall and Castlereagh Hills. It includes a welcome tray, safe and a Bluetooth station, as well as a telephone with voicemail service, separate dressing table with hairdryer and en suite bathroom with a bath tub and rain shower. 24-hour room service and a same-day laundry and cleaning service is also available. This Executive Room with a super king-size bed offers views towards the south west of the city incorporating the Black Mountains and Cave Hill. It includes free mineral water, bathrobes and slippers and a plasma TV. It also features a welcome tray, safe and a Bluetooth station, as well as a telephone with voicemail service, separate dressing table with hairdryer and en suite bathroom with walk-in rain shower and a bath tub. 24-hour room service and a same-day laundry and cleaning service is also available. This Classic Double Room offers a queen-size bed, a welcome tray, safe and a Bluetooth station, as well as a telephone with voicemail service, separate dressing table with hairdryer and en suite bathroom with power shower. 24-hour room service and a same-day laundry and cleaning service is also available. This room has limited views. This Junior Suites offers a separate bedroom and living area. It includes a super king-size bed, dining table and chairs, a fridge and a CD player, as well as free mineral water, bathrobes and slippers and a plasma TV. 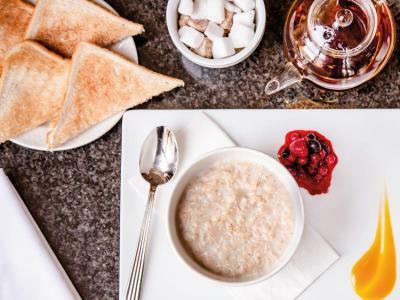 It also features a welcome tray, safe and a Bluetooth station, as well as a telephone with voicemail service, separate dressing table with hairdryer and en suite bathroom with walk-in shower and a bath tub. 24-hour room service and a same-day laundry and cleaning service is also available. The Europa Hotel has been part of the Hastings Hotels Group since 1996. It is a family owned hotel. It has a great location and the service it offers is superb. House rules Europa Hotel takes special requests - add in the next step! Europa Hotel accepts these cards and reserves the right to temporarily hold an amount prior to arrival. No onsite parking other than valet service. Although we did get parking and discount on the price for staying at the hotel. Directions ect was not very clear and when you are in the city center you need to know where you are going in advance but other than that perfect ! Had room next to lift in 9th floor . It was small & the shower was hard to get in & out off as only one side of the door opened & shower pressure was poor . Our bedroom was very small, felt a little closterohobic and stuffy. Bathroom door did not close. Cleaning staff banging on door at 8.30am to ask if we needed our room serviced - make sure to use the do not disturb sign ! Room was small and somewhat dated. Staff very welcoming and very helpful. Room very small..shabby and in need of refurbishment. Throw across bed was stained, shower floor not cleaned properly! Comfortable bed. Quiet at back of hotel.